Is history slipping through the digital cracks? Twelve-year-old Jessie Brooks from Bethlehem, Georgia, can tell you almost anything about the role-playing video game Skyrim. She’s only been playing for two years, but she has already worked through multiple different characters and narrative timelines within the game’s expansive universe. Today, she’s playing Skyrim as a dark elf. She’s on a side quest to find a daedric dagger. Her most important tool in helping her complete her quest? Magic spell books hidden throughout the game, all which contain actual, readable text carefully and uniquely designed by Skyrim’s creators. The game itself overlooks no details, so of course the in-game books are no different. In fact, Jessie says, opening the random books and seeing what they say is one of her favorite parts of the game – but it’s a component that wasn’t always easily accessible to her. The role-playing video game Skyrim has helped reading become easier and less intimidating for Jessie Brooks, 12. Jessie has dyslexia. She’s been homeschooled all her life, which has made it easier to implement a flexible curriculum to meet her needs. Still, she struggled with reading no matter how often she tried to practice. Too many words too close together on the page made her cross-eyed and unable to focus, and she’d frequently give up trying to read altogether – a sad reality for a kid who actually really likes books, despite not being able to enjoy the full experience. She devoured audiobooks in her spare time, and even tried to follow the audio along with a companion book, but found it too confusing. Then one day a family friend introduced her to Skyrim. “Playing Skyrim forced me to read, a lot. I have to understand the dialogue options, maps, books and all that other stuff or I risk messing up my quests,” she said. Though Skyrim makes in-game reading nearly unavoidable, the game’s universe and accompanying lore makes for even more compelling reading material. Shortly after Jessie started playing Skyrim, the same family friend that recommended it gifted her a player’s guide called The Elder Scrolls 5 – Skyrim. The book sits in a permanent spot on the shelf behind her bed, the pages worn and dog-eared from many days and night of her poring over the various chapters, trying to unlock the secrets of this seemingly never-ending game. She uses the book to help her through difficult quests, uncover in-game secrets and – her favorite – read up on Skyrim’s history and mythology. “The more I read about Skyrim’s history, the more interested I got in real-world history. I could see parallels between some of the Skyrim villains and some of the real-life villains,” she said. Twelve-year-old Jessie Brooks’ hunger for more information to build her player’s skill set in the video game Skyrim outweighed her nervousness about not being able to read as well as she felt she should be able to. After just a few weeks of playing Skyrim and attempting to brave the brick-like player’s guide, Jessie noticed that reading seemed a lot easier and less intimidating. Turns out that all those hours spent playing Skyrim had helped her practice her reading skills without actively trying. Because reading was presented to her in a non-threatening way via video games, she was able to read for longer periods of time and more frequently. She got absorbed into the world of Skyrim, and her hunger for more information to build her player’s skill set outweighed her nervousness about not being able to read as well as she felt she should be able to. And the more she read, the easier it got. Two years later, she’s read all the Harry Potter books and has moved on to reading Lord of the Rings. “I love books and video games equally, but I don’t think I’d love books as much if it weren’t for video games,” she said. Her older sister, Kasie, is also dyslexic, but unlike Jessie, she wasn’t homeschooled until middle school – long after she’d grown to associate books with failure and embarrassment. Kasie doesn’t consider herself a gamer or a reader, but she agrees that if a game like Skyrim had been offered to her as a child in lieu of the chapter books she struggled with, she might have learned to love reading just like Jessie. Both Jessie and Kasie support video games being taught in school in the same way that books are, especially to children who shy away from traditional reading. Their father, Greg, concurs. Nine-year-old Gatlin Wright’s mom noticed an increased interest in reading shortly after he started regularly playing the video game Minecraft. “Jessie always comes to me to ask the meaning of a word she heard or read in Skyrim. We’ve made whole vocabulary lessons out of it; at 10-years-old she, knew the meaning of words like ‘tedious’ and ‘astute’ thanks to that game,” he said. For Jessie, playing Skyrim gives her a similar experience as reading a book, and perhaps even more so, since she gets to directly interact with characters and apply problem-solving skills to make decisions that will directly affect the game’s plot. “Once I accidentally killed a character that I liked, so I went back three saves so that she’d be alive again. That’s like three whole days of playing!” she said. There’s little denying that children and adults alike bond over video games, and some libraries are beginning to capitalize on this. 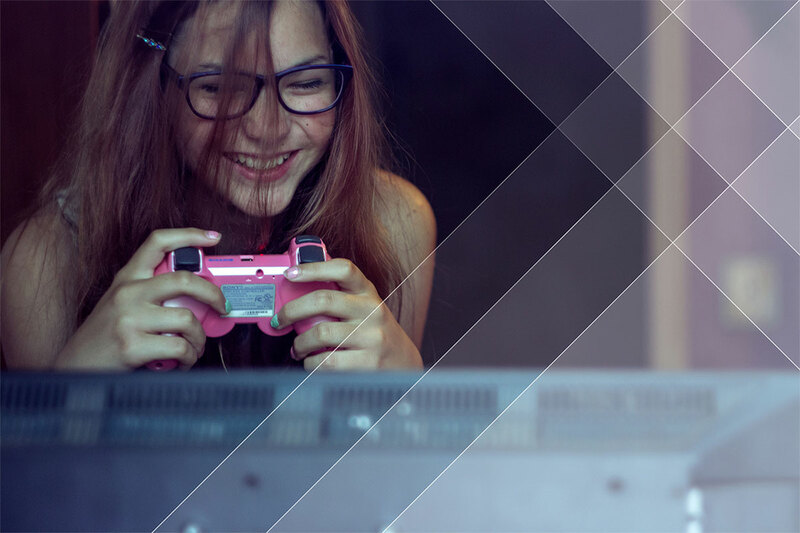 Libraries praise the value of video games by incorporating them into regular library programming and materials. Many libraries invest in virtual reality headsets, or even focus circulation efforts on developing game collections of their own. Holly Burrell, the head of teen services at the Auburn Public Library in Georgia, has noticed an influx of children and teenagers who devour game-related literature, and views the trend as positive. “Video games are the perfect scaffolding for getting kids to read other things. Not only that, they can promote higher-level vocabulary skills that kids might otherwise miss out on if they’re not already reading books,” she said. It’s worth noting that kids’ interest in popular video games encourages them to read regardless of whether or not the game itself is particularly educational. For example, Pokemon has captured the imaginations of generations of children, and its popularity resurgence after 2016’s release of Pokemon GO has kids seeking out Pokemon literature in droves. Graphic novels, player’s guides, picture books and chapter books about the game (any game, really) all encourage children to read. Some games are inherently educational, like Skyrim and Minecraft. For Gatlin Wright, 9, the best part of playing the video game Minecraft is simply being unrestricted in his creativity. These two titles encourage reading and other critical thinking skills both in the game and in real life. Game franchises like these make reading among children contagious, as is the case with 9-year-old Gatlin Wright, a homeschooled student and avid Minecraft player from Clermont, Georgia. His mother, Cindy Wright, noticed Gatlin’s increased interest in reading shortly after he started regularly playing Minecraft. “Gatlin wasn’t much of a reader, but he loved the Minecraft books. Now he also likes reading other things, like graphic novels and Captain Underpants books,” she said. Minecraft is a world-building game where players can create structures and explore the game’s expansive universe. Gatlin prefers to play on “creative mode” so he can build anything without the additional work that would come with normal game play. He has built a number of things he’s proud of, such as a replica of Spongebob’s Bikini Bottom, a temple, a store that sells steak and water and his very own house – complete with an expansive library, of course. As Gatlin plays Minecraft, he’s not only focused on creating aesthetically pleasing settlements and buildings, he’s also engineering clever devices to make that job easier. He designs a crane-like structure and sets it up to automatically drop TNT into the ground, creating a large crater that just keeps digging and expanding until it can’t anymore. As he plays, he also learns about a variety of different gems, minerals and naturally occurring materials. But for Gatlin, the best part of playing is simply being unrestricted in his creativity. “I can build and do pretty much anything I want. There are so many possibilities,” he said. Teaching kids how to read is one thing, but teaching them to enjoy reading is another feat all together. Video games might still have negative associations attached to them, and the thought of using them as teaching tools might be shocking to some, but one thing is certain: It doesn’t matter what medium a child is using to read; the most important thing is that they are in fact reading, and reading often. And if video games offer a creative way to get children to read and enjoy it, surely there can be a place for video games in education and as literacy tools. Ashley Brooks is a library assistant for the Piedmont Regional Library System in Auburn, Georgia. My son, who is now 24 years old, was always a big reader. He was introduced to video games by his older cousins and instantly loved the challenge they presented. Before playing a new game, I would ask him to give me a compelling argument for it’s educational value, and he came up with many of the arguments presented in this article. He still points out the educational values of Kingdom Hearts, Fallout or Assassin’s Creed. And he loves the guide books! As a mom of 3 boys who love both video games and reading, I totally agree with this article. I’ve seen video games build their confidence and their vocabulary. I’m glad more libraries are embracing gaming.